Everyone wants financial stability — living from paycheck to paycheck without a plan is extremely stressful and cannot be sustained long-term. Reducing that stress and building a foundation requires planning and good decision-making, and should be started as early in your life as possible. However, most of the following 11 tips can be applied by anyone at any stage in their life to get their finances moving in a positive direction. Unskilled work like retail, restaurant/bar service, or manual labor can be good at the beginning of your working life, but your chances of obtaining true financial stability are greatly reduced if you do not have a skill that employers or clients are willing to pay for. That’s why it’s so crucial to get your formal education or on-the-job training completed in your twenties, so you aren’t playing catch-up later in life. Don’t be put off by the cost of education. There are always ways to fund it and if you enter a career you enjoy and will stick at, it will all pay off in the end. Whenever you get the chance to add an extra stream of income you should take it. The job market and economy are not as stable as they used to be and nobody’s job or career is 100 percent secure. Companies go bust and entire industries disappear. Diversifying your income not only protects you if you lose your job, it means more overall income as well. Options include doing freelance work alongside your main job, monetizing a hobby (such as blogging), creating a full-blown side business, and investing. Exactly what you do will depend on your skills, interests and free time. Your future financial stability is often based on the decisions you make early on, but that doesn’t always mean only taking the opportunities that pay the most money. Everyone of a certain intellect could theoretically train to be an investment banker, but that’s no good if you’ll spend your days bored out of your mind and creatively unfulfilled. Having money is about reducing stress and living comfortably, and doing something you hate is not going to help that. People have the most success when their career is rooted in something they love, so don’t always take the path with the biggest paycheck. Obtaining credit isn’t necessarily a sign of financial problems, in fact, you need to build up a history of borrowing to have a good credit rating – which is important for getting a mortgage and other loan products. Of course, that doesn’t mean you should get into large amounts of debt, but regularly using a credit card to pay for groceries and paying the balance in full at the end of the month, is a great way to build your credit score. You can also use loans for larger purchases that you know you can repay in a short amount of time. You can’t put a plan into action or look to the future if you don’t know how much money you have coming in and how much you are spending. If you want to get a true handle on your finances then you’re going to have to budget. You can easily do this with a pen and notepad or a spreadsheet on your computer. There are also a number of advanced apps that can connect with your bank and credit accounts to help you along the way. Once you have an overview of your finances it’s easier to know how you can make savings. Budgeting is an ongoing process — you’ll regularly need to make changes, depending on your income and spending goals. For example, you might decide to tighten your belt and save a lot for 6 months, but then you might need to spend money on something important. You might even get a new job that causes you to completely reevaluate your finances. The purpose of budgeting is to stay on top of your finances however they fluctuate and to be ready to put your goals into action at any time. If you’re on a particularly low income it can be a necessity to live paycheck to paycheck, but for long-term financial stability it’s always wise to live below your means, no matter how much or little you make. In other words, spend less than you make. This will give you the ability to save, invest, treat yourself (from time to time) and cover emergency expenses when they arise. If you spend all the money that comes in each month, you will always be stressed about your finances and can easily fall into debt if something unexpected comes up. People often struggle to save because they set the amount too high and don’t account for those unforeseen expenses that eat into the savings. It’s much easier to save consistently if you set the bar much lower and top up the pot once you’ve covered all of your expenses. This way you’ll always save something but won’t abandon the idea altogether if an unexpected bill pops up or you have an impulse buy. To increase your chances of sticking to your savings plan, set-up an automated transfer between bank accounts each week or month. Note: Saving rarely works unless it coincides with a budget. When you first begin saving, your first goal should be to build an emergency fund. This is an amount of money set aside that you only touch in the case of a financial emergency. What you define as an emergency is up to you, but it usually includes things like job loss, vehicle repairs etc. A good rule is to save three months’ worth of expenses. This means if the worst comes to the worst, you can still survive. Once your emergency fund is full, you can then begin saving for other purposes. And, if you ever cut into the emergency fund, don’t forget to fill it back up again at the nearest opportunity. 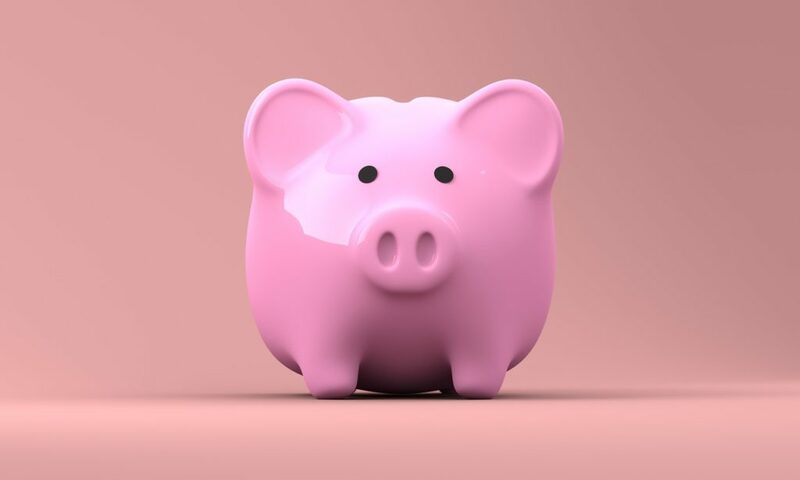 It’s easy to brush off the idea of saving for retirement because it seems so far off, but the key to living comfortably in your latter years is to start saving early. Putting aside just $100 a month beginning in your mid-twenties, will net you 6 figures by the time you reach your 60s. Often, when we hear about investing we think of speculating on the stock market like a gambler, but there are many stable forms of investment that will make you money over the long-term. Once you have savings, you should use these methods to help build momentum and make your money work for you. These are just some of the ways you can build that stable financial foundation that will bring you freedom and success in life. While all of us will have different income levels, these tips will ensure you won’t worry about money regardless of how much you are making. Have any tips of your own? Let us know in the comments below! Brian Loman is a longtime blogger, with a particular passion for finance and insurance. He also blogs about lifestyle and a range of other topics for a number of websites. He currently writes for ElcLoans, where he shares his knowledge on short-term loans.